“Let there be peace on earth, and let it begin with me.” Let us remember these words as a statement about the Unity movement. It’s time for the Unity movement to move into action as the manifestation of the divine that each and every one of us is. It is time for the Unity movement to live the truth it has taught for over 100 years of our oneness in Spirit embracing community involvement and racial equality. It is time to manifest what we have prayed for, envisioned, and put into prayer for America; we are perfect children of God, all, within the rainbow of God’s colors. On Wednesday, June 10, 2015, a seminal discussion was held during the 2015 Unity People’s Convention in Albuquerque, N.Mex. Recognizing that it is Unity’s time and opportunity and move into action, Rev Gregory Guice, senior minister at Detroit Unity Temple, Mich., asked Unity Worldwide Ministries’ President, Rev Donna Johnson, if space was available to hold an “add-on” meeting at the conference and, of course, space was found for that meeting. The purpose of the meeting was to have a discussion about and generate ideas around how Unity can put “feet on the ground”—that is, become an active, involved, vital, on-the-scene force for good in all our communities across the country. The message and the challenge was to move from urban unrest to world peace. It was an opportunity to create conversation about the energy that is emerging about the issues in our country. Word got out at the Unity convention! The meeting started with approximately 20 people and within a half-hour the meeting had grown to over 60 people. As moderator, Rev Guice gave each person, going around the room chair-by-chair, an opportunity to voice their frustration, their anger, their sorrow, at the state of racism in this country—remember Ferguson, Mo. ; Baltimore, Maryland; and most recently Charleston, SC.—many years after the freedom marches and the ministry of Rev Dr Martin Luther King, Jr. After everyone had voiced their concern, Rev Guice invited each person to share one or two ideas that evidenced love in action by Unity, as a movement, as a force for change in the United States and beyond. Unity’s positive initiatives were voiced at the meeting such as the public apology by Rev Glenn Mosley, then-president of Unity Worldwide Ministries (UWM), and Tom Zender, then-president of Unity World Headquarters at Unity Village, for the injustice to black people in the Unity movement in the past. Another positive initiative was the establishment of the Martin Luther King, Jr Celebration begun in 2004 at Unity World Headquarters (UWH). It was pointed out how our movement has moved beyond its own issues and challenges by creating moments where change was sought. Unity’s origins as a spiritual movement started in Missouri, a border state during the American Civil War, which sent men, armies, generals and supplies to both opposing sides, had its star on both flags, had separate governments representing each side, and endured a neighbor-against-neighbor intrastate war within the larger national war. Racial prejudice manifested in stark and clearly visible ways at Unity Village, Missouri. Black students, studying at Unity Village, were not allowed to stay on campus. Black people were not allowed to use the pool on the Unity grounds. Clearly, it is time for everyone, of whatever ethnic origin, to “get into the pool” and to manifest our movement’s name by walking our talk in community wherever we live. Yes! There is a “luminous presence” to Unity. That presence is our knowing of our divinity, our oneness in Spirit, our oneness as human beings and our need to be the force for change we want to see in the world. Unity will be that positive force for change as we move into the future, adding servant leadership to our powerful prayer consciousness, and get involved in our spiritual and secular communities. Everybody get into the pool! For further information, contact Rev Jim Marshall and Rev Gregory Guice. Following the tumultuous and heartbreaking news of continued violence in our cities, the Unity Urban Ministerial School presented a program at the Unity People’s Convention in Albuquerque, N. Mex., facilitated by Rev Gregory Guice, to address the unrest in urban areas. What came out of that evening was an authentic discussion on race and a strong desire of everyone in the room to do something about it. Hearing the accounts of racism, even within our own beloved Unity movement, feeling the unhealed pain of those who are suffering through PTSD (or post-traumatic slavery disorder), the leaders and laypeople in the room united in wanting to make a difference. Many suggestions were given that evening, beginning with prayer. As Truth students, we believe prayer indeed is the fastest way to change our minds, and change the world. Remembering our Oneness and committing to prayer daily will bring forth heaven on earth, where racism is seen as the illusion it is. We are here because You care. We are here because I care. Let me be the peace. For self, others and the world. In Unity, through the name of Christ. Amen. Other suggestions included a Unity Online Radio show entitled Race Matters, a Facebook page to continue the conversation—not as a forum of complaint, but rather one of healing and sharing what is working. More suggestions included involving our communities through book study, film discussions, Interfaith activities, getting the seniors involved, and seeing if Unity Worldwide Ministries (UWM) can make a video for ministries to jumpstart the conversation. Unity has the message. And we know its truth and simplicity. We are One. It’s not just about Charleston. It’s about every community—wherever we are. And Unity is no exception. How do we show up and how do we see each other? Are we inclusive, or do we stick within our own comfort zones? It is said that familiarity breeds contempt. Perhaps that contempt is against the unfamiliar. The same unrest we see on the news is played out daily in our own neighborhoods—in our own consciousness. It may not be as devastating, but it can be just as isolating and demeaning. We need to clean our own houses before we try to sweep around someone else’s porch. We’re mirrors of each other’s souls. “Faith without work is useless for the Kingdom of God.” If not us, then who? If not now, then when? As we take time to enter the Silence, affirming Divine guidance is leading us as individuals and as a movement, let us look within. Let it begin with taking an inventory of our own attitudes and beliefs, instead of sweeping them under the rug, let the healing light of love loose and let them go. And then let’s continue the healing by joining in the discussion at the Unity Urban Ministerial School’s program at the 2016 Unity People’s Convention. Now is the time and we are the one(s).  © 2019 Unity of Augusta. All Rights Reserved.